Congratulations! 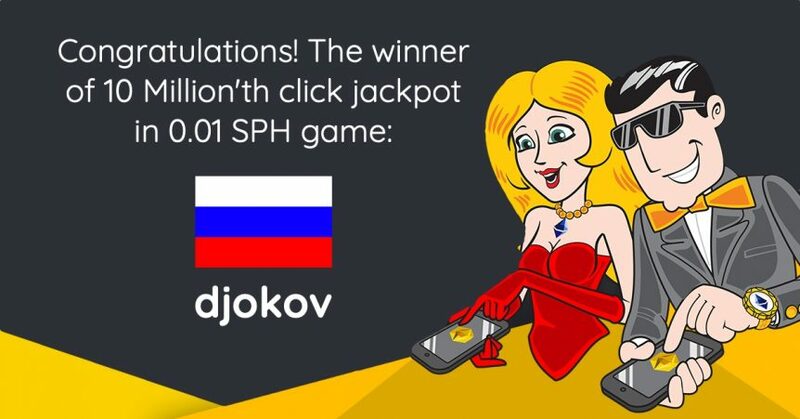 The winner of 10 Million’th Click Jackpot in 0.01 SPH game is *djokov*. Great clicking! Our next big winner for the ClickJackpot click number 10,000,000 with 0.01 SPH bet has been clicked! The winner is the player with nickname: djokov. Congratulations! Well played. Awesome clicking! The jackpot reward of 5,000 SPH was clicked approximately at: Monday 21st of January 2019 02:02:15 UTC time. Click to play, play to win!